The IObit affiliate program is for website owners who have large traffic websites. Earn great commission (up to 70%) by simply referring customers to IObit. You can quickly build your profitable online business by selling our products on your websites or recommending via (E-mail) Newsletters. You can start affiliate our products by registering in the Avangate affiliate system. Avangate provides a safe and effective online purchasing solution. 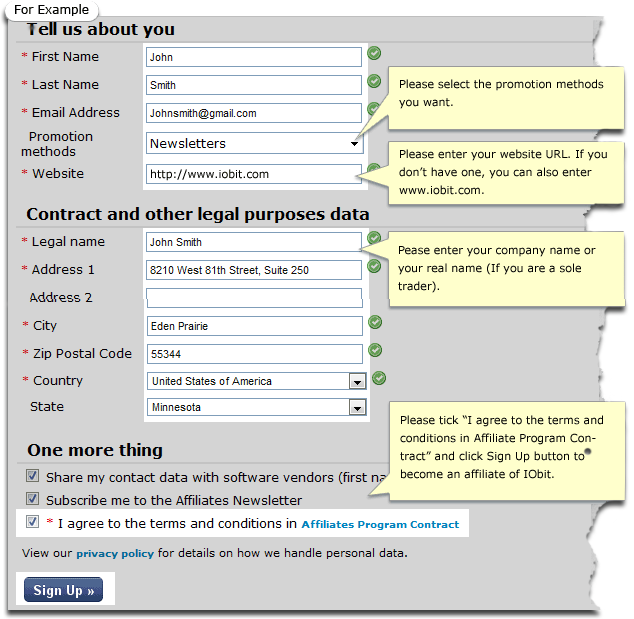 IObit offers special version with your Affiliate ID data built in and 120 days cookie tracking system. High conversion rates from our top rated software. I am already an IObit Affiliate. Start earning now! I am not an IObit Affiliate. Sign up now! It only takes you a few minutes and it is 100% free. Here is a wizard for your reference. 2) You will receive emails with access to your account after we verify the information you provided within 48 hours. 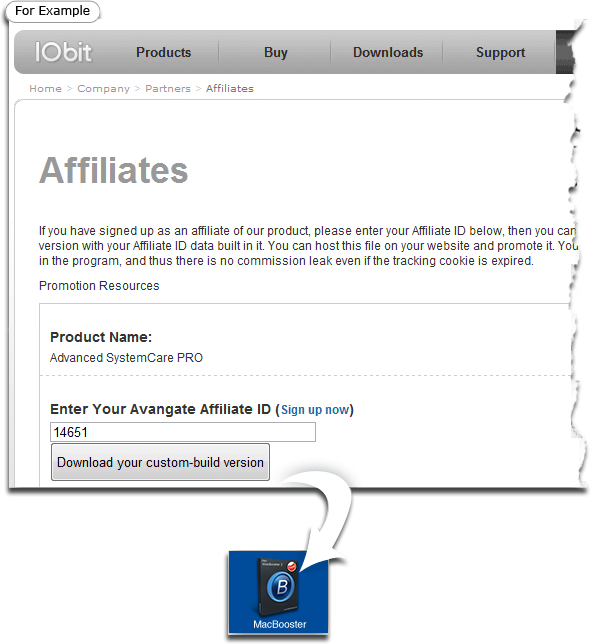 1) Login your Affiliate account to get your Affiliate ID from https://secure.avangate.com/affiliates/. 2) Download your affiliate version form http://www.macbooster.net/affiliates.phpvia entering your affiliate ID and clicking "Download your custom-build version" button. 3) You will receive emails with access to your account after we verify the information you provided within 48 hours. 1) If you have your own websites, please upload affiliate version product to your website and get download link of affiliate version product. 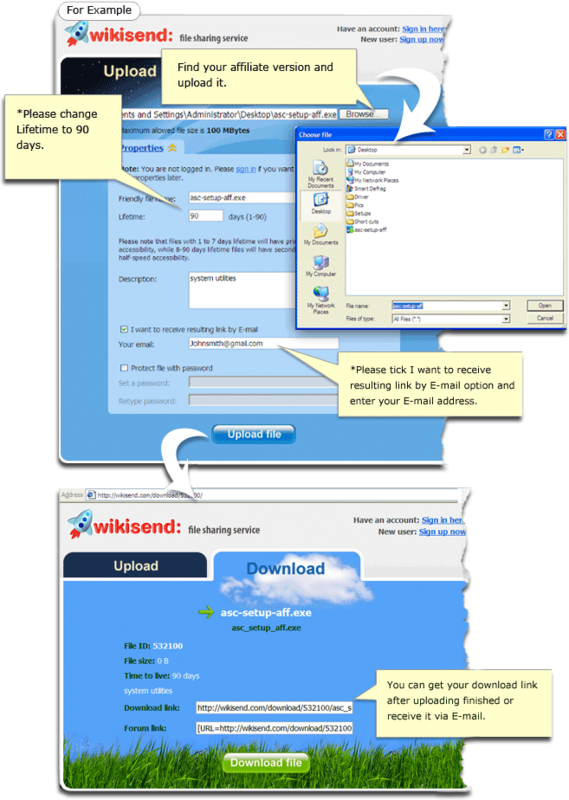 2) Otherwise, you can use free file sharing services, such as Wikisend.com and Dropbox.com, to get a download link which can be used for promotion. Everything is ready and you can start your promotion. The more you sell - the more you earn. Try it! 1. Send recommendation newsletters with the download link to your friends through E-mail. 2. Add the download link in your websites, blogs or articles. 3. Post download link on forums and other's blogs for people who may need our product. 4. Submit articles to the article submission websites with download link included. 5. Answer and Question, like Yahoo answer, give your suggest link there. Enter our affiliate program and start earning.